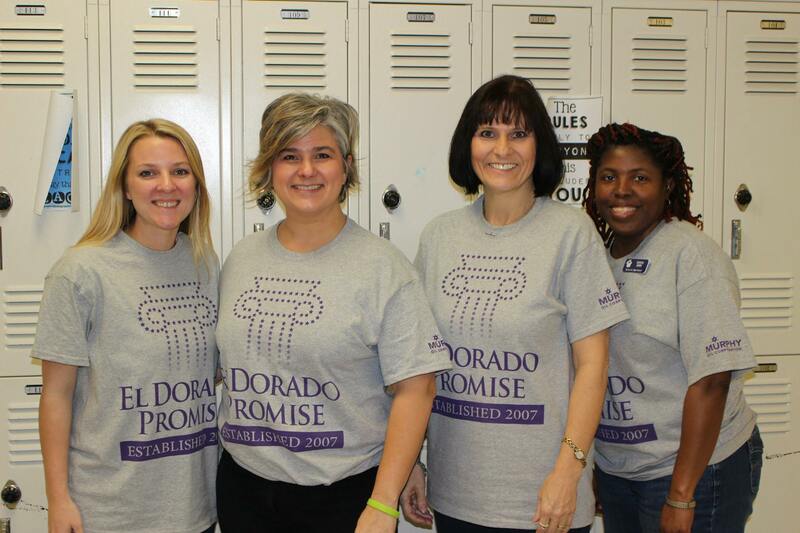 The El Dorado Promise is a unique scholarship program, funded by Murphy Oil Corporation, specifically for students of the El Dorado School District. 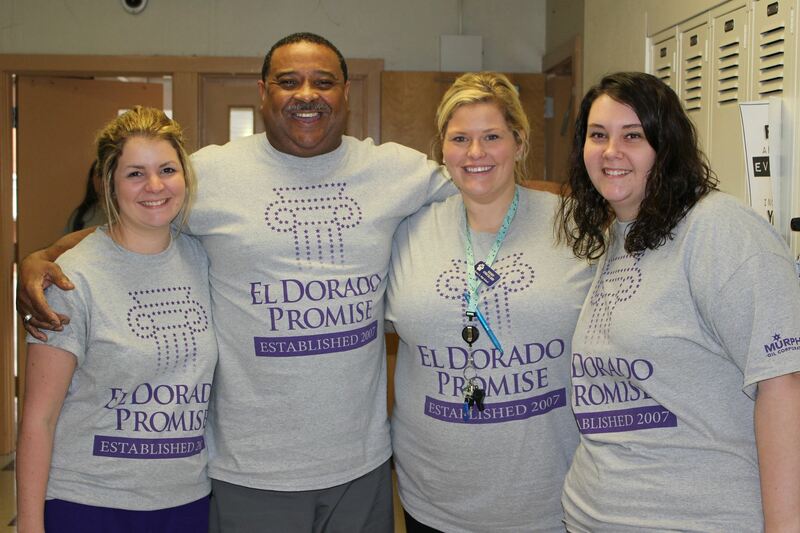 Students who have been enrolled in El Dorado Schools since at least the 9th grade who graduate from El Dorado High School are eligible to receive the Promise. That's it. Just attend all four years of our high school and graduate. No financial need requirements, no academic or extracurricular requirements to receive the scholarship. Go to school. Graduate. Get a Scholarship. And the longer your child is in our schools, the greater the percentage of scholarship they can receive. The gift of the El Dorado Promise means that every student in the El Dorado School District has the opportunity to go to college. The availability of the Promise has changed our district into a college-going culture. District-wide conversations about college are happening from the first days of kindergarten. Kindergarten students receive a visit from our Promise Director Sylvia Thompson and a backpack, sponsored by Simmons First Bank, letting these students know that they will be eligible to receive the Promise when they graduate high school. Elementary schools take students on field trips to college campuses to let them experience what college looks like and can provide for them. Every Wednesday in our district is College Wednesday - students and teachers dress in college t-shirts and teachers talk about their higher education experiences with students. Academic Signing Day is a special event at EHS that allows all seniors, donned in Promise cap and gown, to sign an Academic Letter of Intent to take advantage of the Promise and pursue higher education. 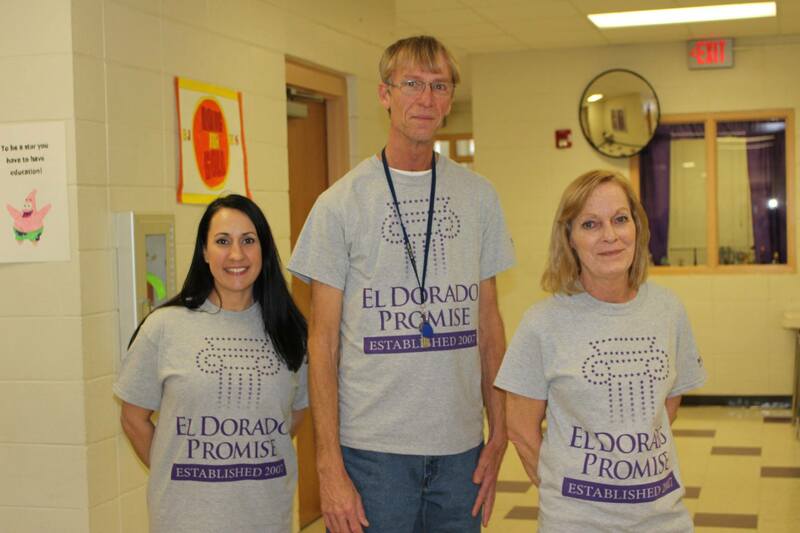 To learn more about the El Dorado Promise, visit their website at www.eldoradopromise.com.